Born in Jamestown North Dakota, Marshall, Lee to friends and family, was the 7th of eight children born to Ben and Frances Stout. A farming family for generations, the Stouts grew corn, wheat and other crops on their North Dakota land. All the kids worked on the farm and attended the local public schools. He graduated from Jamestown High School in 1955. In May of 1959 at the age of 21, Lee enlisted in the United States Air Force where he worked mostly as a technician. At the time, when the Viet Nam war was just getting started, he was stationed in Anchorage, Alaska and then later stationed in Roswell, New Mexico. While in Roswell, he met Martha Eleonor Blay, a recent transplant from Mexico City, on a blind double date. The two fell in love and were married, October 20, 1962. The couple began to set up their household and daughter Jenise was born in 1963. Son Patrick was born in 1964 and the family settled in Long Beach California. 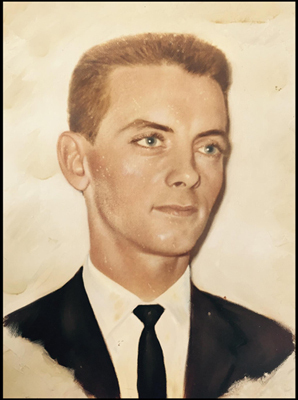 Lee was honorably discharged from his service in the Air Force in 1965 and went on to work repairing televisions and stereos for a company called Teledyne. In 1976, when Lee was tapped by Teledyne to open a repair shop in Rancho Mirage, the family moved to nearby Palm Desert, California. In 1985 Lee founded his own repair company with a partner and named it Video Visions Service. The company thrived for many years. During this time, daughter Jenise married Mike Fryatt and the couple had two children, Giselle born in 1990 and Tyler born in 1993. In 1990 Grandmother Frances moved next door to the Stouts and Lee, with the help of his wife, worked hard to ensure his mother was taken care of until her death in 1995. Lee retired in 1999 at the age of 62 and the couple settled into empty nest life in their Palm Desert home. Lee was a quiet man who didn’t do a lot of socializing. But he was a lifelong learner who taught himself how to program computers, play the guitar, create detailed drawings of wildlife and do his own organic gardening. He was also an avid Angels baseball fan who never missed a televised game. The family remembers Lee as someone who was always there for them in times of trouble, doing whatever he could to help. He enjoyed spending time with his family, sitting around the dinner table laughing and sharing stories . Lee Stout is survived by his wife, Martha; daughter, Jenise; son Patrick; son-in-law Michael Fryatt; granddaughter Giselle Fryatt; grandson Tyler Fryatt; brothers Ben, Bob and George; and sister Frances.